Didn't know that these existed? It's a postcode lottery as to whether dogs will be treated humanely and given a chance. Many will die unwanted and unloved.The last few days of their life will have been spent terrified, alone and confused in filthy, squalid conditions. In many pounds, they don't even bother to feed them the day before they die. Why waste food. Many will die at the hands of unqualified staff. Remember that if the lethal injection goes into the tissue instead of a vein, the dog will die a slow agonising death!! Look what happened to these GSDs. Nice to know how your council tax is spent. Please help us. Is Misty The Girl For You? How could you resist that face? Misty has been with the rescue now since the beginning of July. She was unwanted by her previous owner. He moved around a lot with work. We were told very little about Misty. We put her into a foster home and she has been there all this time. This story has permeated all round the internet and whilst we think it may be rather exaggerated, let us not forget that there are many service dogs deployed to the middle east to help western troops. Not all will make it back, mainly because of the cost and quarantine problems. Service dogs both here and abroad don't always have the wonderful life that the forces try to make us believe. If they survive target practice for the Taliban, their reward for service life is often to be put down at an early age. Some reward for serving their country and protecting their handler. 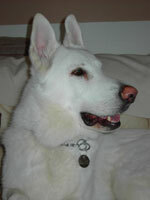 Poor Harvey has had a tough time and now been in our rescue for over 18 months. We originally received a call from his owner who had lost her house and was staying with her daughter, however, Harvey was not allowed in the house so was sleeping in the car! 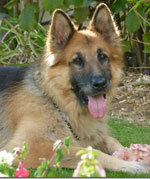 This is our gorgeous Gus, who is approximately 6 years old & entire. 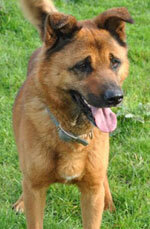 Gus has lived with another dog all of his life, but their owner died recently & they have been split up. 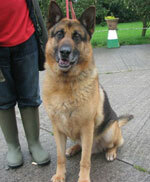 Poor Gus has been badly let down and spent many months in kennels alone, unloved and uncared for. He has been moved to a better place but desperately needs a forever home now. 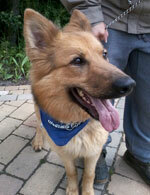 Gus is just a big cuddly teddy bear, who needs a nice place to call home now after the upheaval he has been through. Jordie has been with the rescue since August last year. 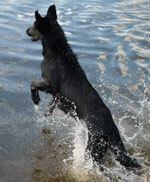 Originally purchased as a puppy, the daughter of the owner contacted us for help. Jordie was not really wanted by the daughter’s stepfather and he showed this with his treatment of her with his fists. Jordie was taken in by the daughter and her partner at the time for her own safety. 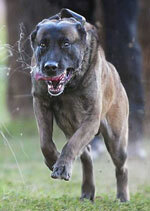 Unfortunately, her partner then moved out and left her with a young child, heavily pregnant and with Jordie. Libby -Abandoned in the Pound. It's hard to believe that this sweet little girl was abandoned in the pound and left to await her fate. Maybe she was once someone's much-loved pet, maybe just another example of our throw away society. This sweet little girl was taken from Blackpool dog pound on her final day before her time was up. Libby was found as a stray on the streets, she was not reclaimed. This absolutely gorgeous boy is Blade. Blade came to the rescue as his owner can no longer care for him and believe it or believe it not this big guy is only 10 months old!! He has a fabulous temperament but is in serious need of some correct and consistent training now so he will grow into one beautiful dog. 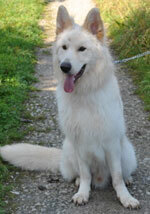 Max - Needs a special Home. 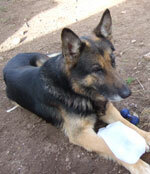 This is Max who is 10 years old and has been a working dog all his life. He worked for the prison service and then a private security company. He looks as if he has endured a hard life. 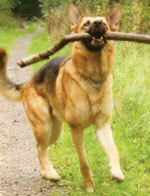 Max has been a devoted working dog all his life. His reward was going to be a needle at the vet. We think he deserves a happy restful retirement. 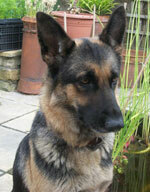 Ex-security Dog Boots Needs A Home. This poor dog like so many other German Shepherds was unfortunate enough to end up in 'security' but was discarded when he was no longer wanted and he had served his purpose. Boots has been an absolute gent since he has been in the rescue but this poor lad has been in kennels since August 2010. Boots was offloaded onto rescue because the previous owner couldn't be bothered with him any longer, claiming he had no time to walk or exercise Boots. 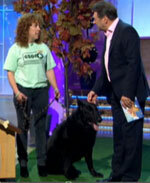 Monday 3rd October 2011, GSDR volunteers appear on the Alan Titchmarsh show with Berry (Padfoot from Harry Potter) and his best friend Porridge. 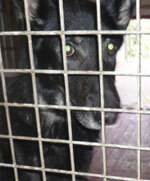 This was an opportunity to highlight the plight of older dogs ending up in rescue because they are homeless. Neither Berry or Porridge are with us anymore. Both dogs were getting on a bit in years when they came to our rescue and both dogs had medical problems related to age. Neither of these dogs was ever put into kennels but stayed with a lovely family foster home who cared for them both until the end. Mature Harry needs a home Needs A Home. Harry came into our care in August of this year. This lovely old lad had a death sentence on his head for barking too much when left alone. He is fantastic with people but not good with other dogs. How old do you think Harry is? You will have to scroll down to find out! Do you think older dogs should be overlooked and forgotten about in favour of younger dogs? Diesel will make a great dog for someone who knows and understands the breed. He is playful, energetic, quick to learn, forms a strong bond with his owner and is sociable with other dogs and strange people when introduced properly. He has no major bad habits besides the fact that he is boisterous and really needs a strong leader. If he went to the wrong home he could potentially become a big problem and that is why we are going to be picky about where he goes. Grumpy Max Needs A Home. 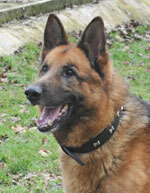 Grumpy old man needs a quiet rural home with little fuss and lots of space for him to while away his retirement. On the whole, I'm a pleasant kind of guy but due to the paths my life has taken thanks to you humans, I can become a little grumpy when asked to do certain things if I'm not ready to do them. I wonder who coined the phrase 'Dumb Animals,' I have never met an animal yet that couldn't express itself vocally! They just speak a different language that's all. Do we call Chinese, Dutch or French people, 'dumb' just because they don't speak our language? No! Because each nation has it's own language. Animals too have a language of their own, one that is far too basic and simple for us 'intelligent' Humans to comprehend. We tend to try and put their language in the context of human speech and so make it seem complicated.